Audi has released details of a major changing of the guard in the brand's design department. 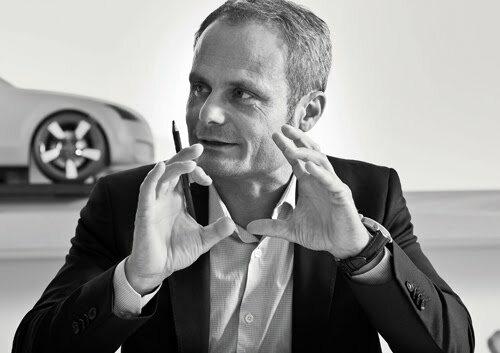 As of February 1, 2012, Wolfgang Egger, the current Head of Audi Group Design, will take charge of Audi Brand Design; replacing design-boss Stefan Sielaff (one of our most revered automotive designers of all-time). Sielaff will then move to become Head of the Volkswagen Design Center in Potsdam (Germany) and Head of Interior Design for the Volkswagen Group. Full press release after the jump. Ingolstadt, December 21, 2011 - Wolfgang Egger (48), Head of Audi Group Design, will also be taking charge of Audi Brand Design on an operational level from February 1, 2012. He will be taking over this task from Stefan Sielaff, who is to become Head of the Volkswagen Design Center in Potsdam and Head of Interior Design for the Volkswagen Group. Wolfgang Egger has been Head of Audi Group Design since April 2007. This function comprises overall responsibility for the design of the Audi and Lamborghini brands as well as all products that bear the Audi brand logo. In recent years, Audi Group Design has for example produced a large number of innovative design concepts in the automotive sphere, and has strategically redirected and repositioned the product design. Prior to joining Audi, Egger held a variety of posts including Head of Alfa Romeo Centro Stile and Head of Lancia Centro Stile. The Audi quattro concept showcar, which was created with Wolfgang Egger as the lead designer, attracted considerable attention in 2010. In creating the first Audi e-tron concept, he gave visible expression to Audi’s progress towards electric mobility. Egger has been responsible for a large number of production projects since 2007.